Facebook’s initial s-1 filing came out with a series of interesting facts, figures and details — such as its approach to China — and, with the company continuing to update the documentation as necessary, so more tidbits are coming to the surface. Now its newly updated filing, via Inside Facebook, raises a topic that is hugely important for its future: mobile. 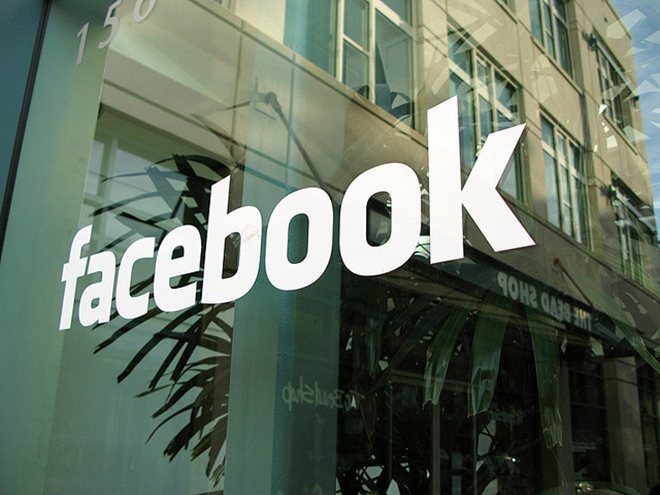 The company has revealed that, during December 2011, more than 58 million Facebook users accessed the social network using their mobile phone only. That’s right, more than 50 million people entered through the service a mobile app or (most likely) their mobile browser, without logging in through a PC at all during the month. Though the number represents a mere 13 percent of the reported 432 million users that were active on a mobile at any point during the month, and even less of its entire 850 million plus userbase, it is a quite incredible statistic. Importantly, it is also one that will continue to rise for two main reasons. Tablet and mobile devices are booming. Apple is principally a computer marker but, as CEO Tim Cook revealed yesterday, iOS devices — the iPad, iPhone and iPod touch — account for 76 percent of its revenues. Apple sold 62 million iOS devices in the final quarter of last year, that’s incredible in itself but that figure includes 15 million iPads, that’s more PCs than any computer maker sold during the same period. With sales reflecting the popularity of tablets and smartphones, so consumer preferences are shifting too. As MG Siegler asks, who can say that their primary computing device will continue to be a PC for the next five…or even two years? This shift means mobile and tablets are becoming a huge channel for Web browsing and, with Facebook the world’s largest social network, it figures that the changes will play out on its service too. With the company focused on monetization, user activity and more, it needs to ensure its mobile strategy is serving it well. While the post-PC world is shifting habits in the West, smartphones are having an even more poignant effect in emerging markets. With a far weaker PC legacy in emerging markets — where devices are often expensive, Internet is a luxury and services are slow or intermittent — the mobile is the obvious primary Internet access point for so many. It is more affordable, more practical (it allows telephone calls and other communication that is fast becoming standard in emerging markets) and it is wireless. The latter point is important because fixed line networks are often basic and underserve rural populations. While 3G networks are still emerging in some countries, cellular data is, or soon will be, more reliable than fixed. As Pingdom pointed out, albeit some while back, usage of the mobile Web (proportionate to fixed-line) is highest in Africa and Asia, two continents that are supplying massive growth to Facebook’s userbase. If it wants to keep growing globally, and give its soon-to-emerge shareholders increasing figures, it needs to be aware of this. These rates are set to grow, and have doubtless already increased over the intervening 18 months, further increasing the number of mobile-only Facebook users in Asia and Africa. Facebook has struck a number of deals with operators to offer free access for users as it seeks to capitalize on the mobile boom. Facebook is already aware of the hug significance of mobile. 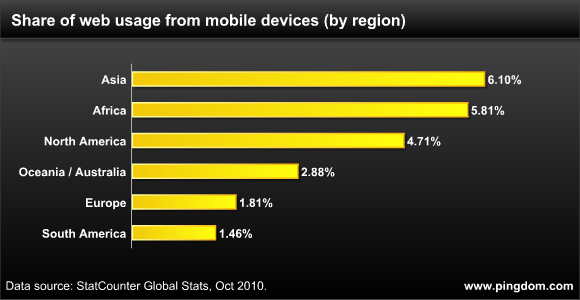 Aside from being a place where more Web browsing is taking place, mobile users are more active users than those on PCs. The smaller screen size and significantly lower capacity to multitask on a mobile phone dictates that alone. If you open a Web page on a mobile, it is the sole focus of your activity. Gaming is a massive part of the Facebook mobile focus, and the site already sends 60 million users to applications on mobile. More eyeballs and interaction, means more developers, more content and ultimately more potential for ads and revenue. It’s no surprise that Facebook is trying to encourage greater activity on mobile gaming. However, its most significant move in mobile — and we’re not talking about ‘Buffy‘, its rumored device being built by HTC — was the announcement that it is throwing its considerable weight behind a new initiative aimed at making life easier for mobile Web app developers. The W3C Mobile Web Platform Core Community Group is a consortium of over 30 device manufacturers, carriers, and developers grouping together to standardize mobile browsers. In the US, Europe and other Western markets, Facebook’s mobile strategy is about engaging users and increasing their on-site activity. But in Africa, Asia and other markets, it is about simply getting them on-board in the first place. For Facebook, the post-PC world is just beginning.